We’ve all heard the above command. It may come from friends, family, or writing peers. The other bit of urban wisdom we’ve all heard is “controversy sales.” But here’s the catch, if you write controversy with aims just to make sales, your story will most likely fall flat. However, if you love the story, then write it even if touches on such topics. I’m no stranger to drawing inspiration from controversy. In fact, I’ve had some close-calls and bad experiences because of my choices. I wrote my debut novel, TREASURE HUNT, in 1998 and the opening chapter was about an air-jacked flight and the perpetrator’s demand for ransom. After the events of 9/11 in 2001, I thought that book would never see the light of day. I tried, honestly, to rewrite and delete all the strands from that storyline. I even considered changing the location from a jetliner to a train or a cruise ship. However, the events that occur during the air-jack are integral to the plot in many ways. Time passed by, as it always does, and a few years later the book found a publisher. For my third novel I created an unusual antagonist. It could be labeled as a serial killer, but if I explain why that’s not the case, I’d be giving away the plot. 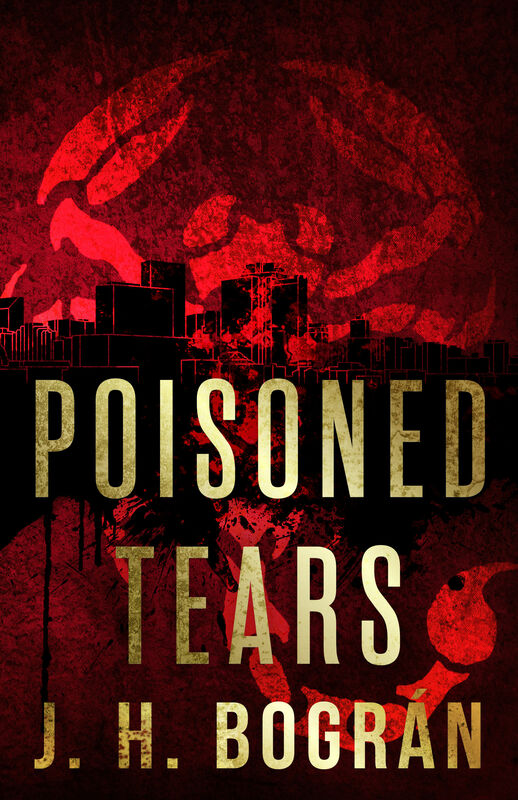 Suffice to say that when fabulous author Jon Land sent me this blurb “POISONED TEARS is a splendid piece of crime noir. J. H. Brogan’s darkly original tale breathes fresh life into the moribund serial killer genre.” I decided to shut up and let it be. So my book will navigate the literary world under a somewhat false flag, being promoted as a serial killer who uses poisonous animals to disguise the deaths as accidents, when in fact, the antagonist sees the deaths as means to an end. Enough said! The choices I made in both instances to discuss topics that would raise complaints rather than just eyebrows were out of the necessity to tell the tale as I conceived it. They were not a gimmick, nor was my goal to go riding a trend. When people ask me why I’m not on the best-seller list yet, I ache to rotate my responses between, “because you haven’t bought it and told ALL your friends to do the same,” or “because I’m waiting for the Vatican to ban my book, or have somebody sue me.” Of course, in the times of political correctness that we live, the only place I can say either of the above is standing alone in front of the bathroom mirror. In conclusion, I contradict my own title in this post and beg writers to dare go beyond, take it a step forward, push the envelope, and since I’m running out of metaphors, I’ll just finish by saying to follow your gut and use the circumstances, as controversial as they may be, to enhance the plot. See you at the bookstore! 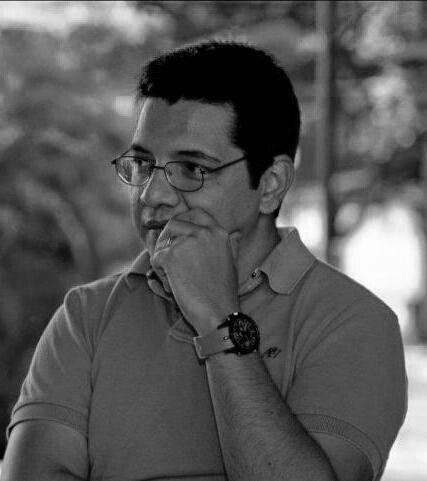 H. Bográn, born and raised in Honduras, is the son of a journalist. He ironically prefers to write fiction rather than fact. José’s genre of choice is thrillers, but he likes to throw in a twist of romance into the mix. His works include novels and short stories in both English and Spanish. He has also worked on scripts for motion pictures and domestic television in his home country. He’s a member of The Crime Writers Association, the Short Fiction Writers Guild and the International Thriller Writers where he also serves as the Thriller Roundtable Coordinator and contributor editor for their official e-zine The Big Thrill. POISONED TEARS is his third novel in English and has already garnered positive reviews and recommendations. Jon Land calls it “a splendid piece of crime noir,” while Douglas Preston says it’s a first class roller-coaster ride. Book description: Alan Knox’s football career ended in the Superdome twenty years ago. He hates the Big Easy but his son’s fiancée is missing and Knox is compelled to help. Throwing himself into the investigation, he becomes convinced a serial killer is using poisonous animals to disguise women’s deaths as accidents but the NOLA Police Department won’t listen. The investigation follows a twisted and dangerous path when Knox teams up with journalist Scott Trent. Especially when Trent’s wife is brutally murdered and Trent becomes the prime suspect. How many more women must die before Knox can prove his partner’s innocence?